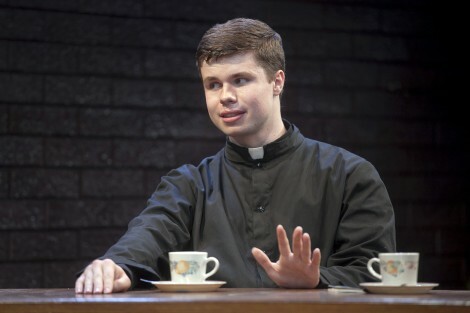 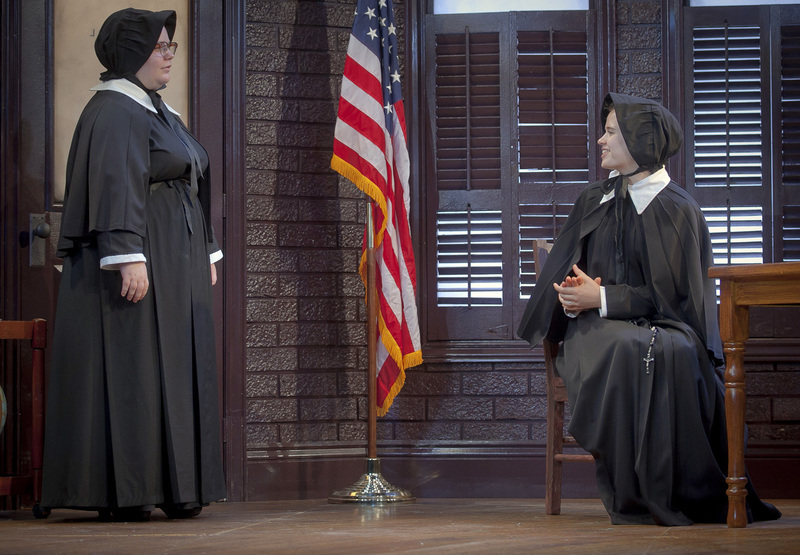 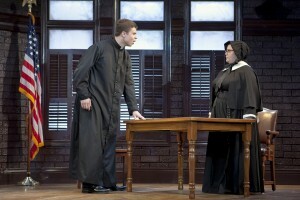 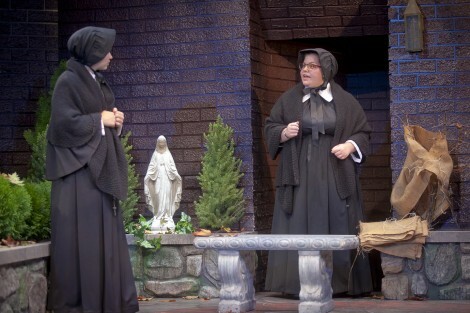 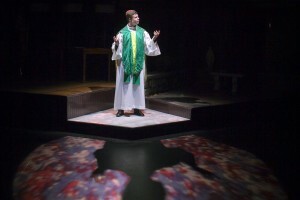 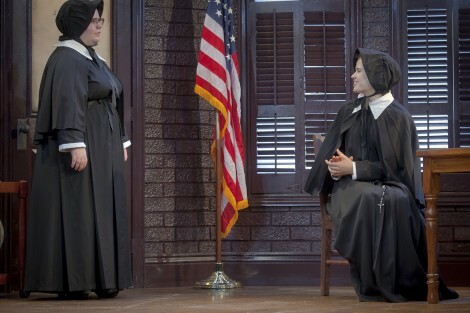 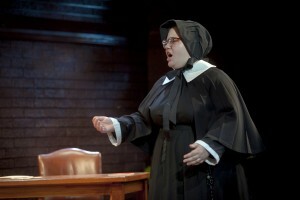 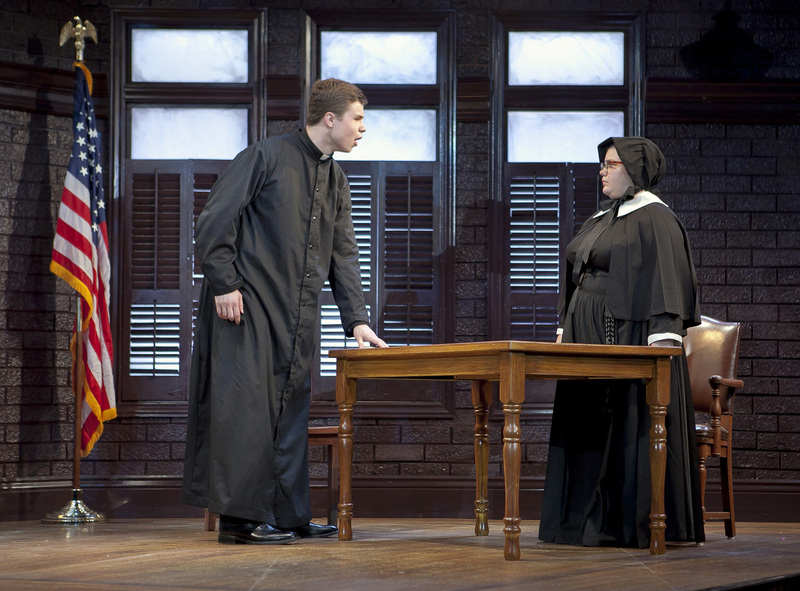 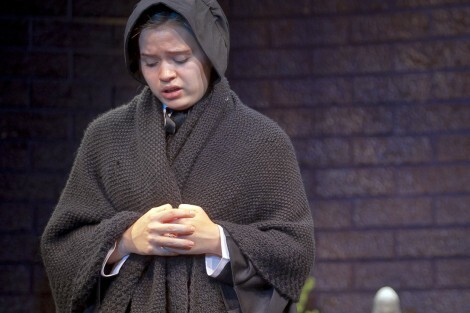 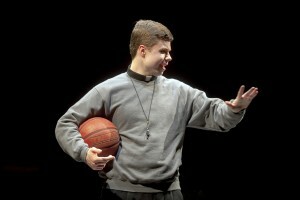 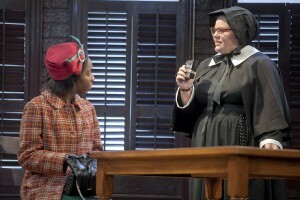 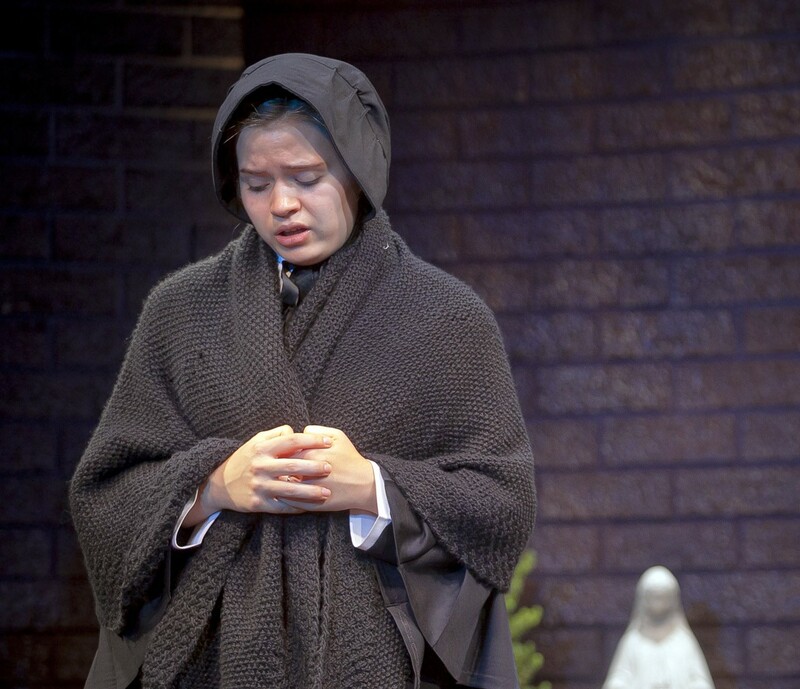 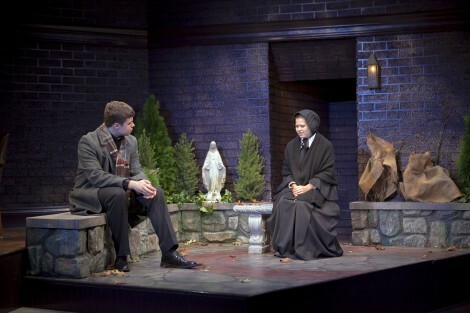 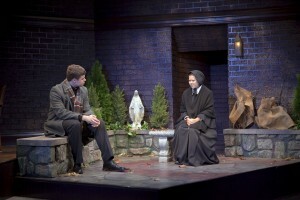 Last month, the theater department presented its production of Doubt, the winner of the Tony Award and Drama Critics’ Circle Award for best play and the Pulitzer Prize for Drama in 2005. 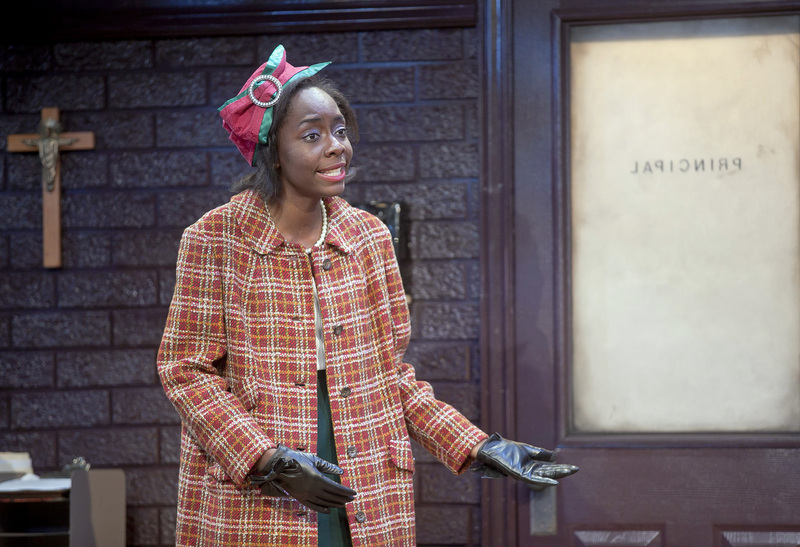 The play focuses on a strict, traditional nun’s accusation that a beloved, progressive priest has molested the first African-American student to enroll in the parish school, which escalates into a battle of wills without clear answers. 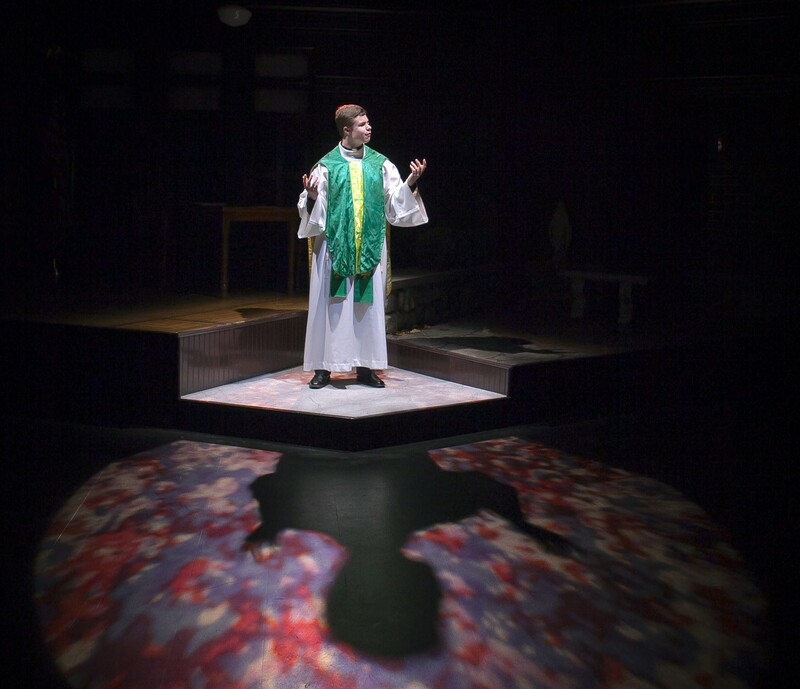 Directed by Mary Jo Lodge, associate professor of theater, the production starred Chris Melka ’18, Megan Thomas ’16, Meryl Hahne ’18, and Chanel Mowatt ’17.